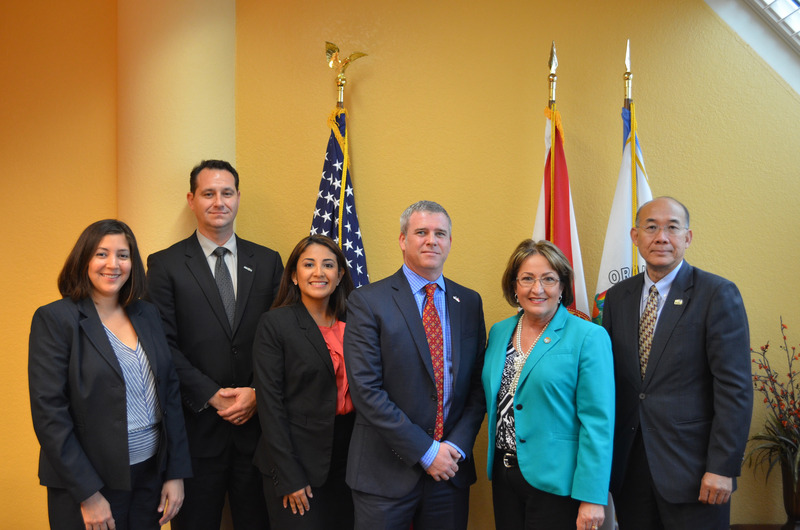 Mayor Teresa Jacobs and Orange County’s Office of Economic Development recently met with the United States Ambassador to the Republic of Singapore Kirk Wagar to discuss trade, commerce and economic opportunities for Florida companies in Singapore. Mayor Jacobs and Ambassador Wagar were joined by Darrel Ching, Commercial Attaché, Paul Mitchell and John Diep Enterprise Florida, who will be leading an export sales mission to Singapore and Malaysia in September 2014. According to Wagar, Singapore is ripe for investment by Florida companies. Bilateral trade in goods between the U.S. and Singapore rose 40 percent in the last decade to more than $48 billion in 2013, underlining the benefits of the U.S.-Singapore Free Trade Agreement (USSFTA) enacted in 2004. The U.S. is the number two supplier of Singapore’s total imports, just behind Malaysia. And in 2013, Florida exported more than $237,000,000 of goods to Singapore. Some of the top exports from Florida to Singapore include aircraft and spacecraft parts, medical instruments and other high-tech equipment. “I am so pleased that our international colleagues recognize that Orange County’s diversified, high-tech economy has evolved into a global hub for international business investment,” Mayor Jacobs said. Please visit Mayor Jacobs’ Flickr album for meeting photos.